Whistleblower Terry Albury, who sought to expose the systemic racism of the FBI, has been sentenced to four years under Espionage Act. We stand with Albury, and all other courageous truth tellers persecuted by a government bent on hiding its crimes and abuses from the public. Because his action was in the public interest, because it caused no harm to national security, and because it’s time to end the unconscionable use of the Espionage Act to persecute whistleblowers initiated under President Obama, we believe Albury’s sentence should be a non-custodial sentence of community service. His talents, skills and passion for social justice could serve the communities harmed by the FBI and further the cause of justice far better than a prison sentence. Please donate to Albury’s Legal Defense Fund. Albury is the 12th person to be charged under the Espionage Act for leaking in the past 10 years, and the third in just 14 months by the Trump Administration. An Amicus Brief filed by the Reporters Committee for a Free Press urging a light sentence for Albury argues that this over use of the Espionage Act is a dangerous trend for press Freedom. The Reporters Committee has an interest in ensuring that federal criminal laws governing espionage are not transformed into catch-all tools to investigate and stifle newsgathering, particularly in the national security and law enforcement fields, and fear that draconian sentences in Espionage Act cases targeting individuals who disclose information to the press will chill newsgathering and unduly restrict the free flow of information to the public. Public-spirited disclosures to the domestic press, like this one, should not be punished as espionage, even though the government may prosecute them under the Espionage Act. Like punishments imposed on citizens who have engaged in other forms of civil disobedience, the sentence imposed by this Court should reflect the full “nature and circumstances of the offense,” the “characteristics of the defendant,” and “the seriousness of the offense,” including the benefits to the public from public-interested leaks, the essential role of genuine whistleblowers in democratic self-government, and the damage to the First Amendment that would result if every disclosure of documents marked “classified” could be met with severe criminal sanctions without regard for the information’s actual sensitivity or public importance. But it is through Albury’s 72 page long sentencing memo that we come to understand what drove Albury to disclose what he did. The memo paints a picture of a man who had a strong moral compass from a young age, who cared about social justice, and was determined to serve his country and community. It’s striking to read this excerpt from his High School yearbook, which stands in stark contrast to some other high school yearbook blurbs recently in the news. 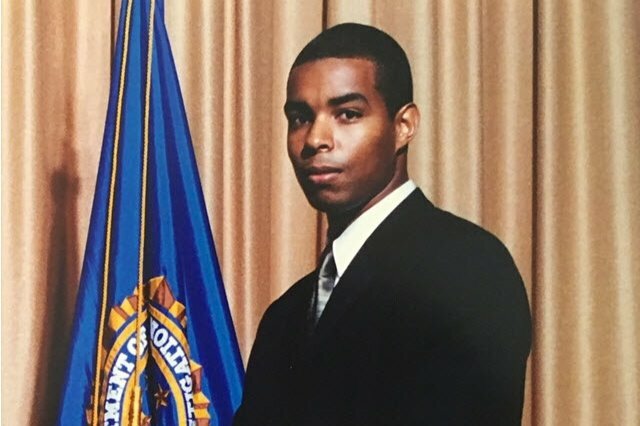 Albury didn’t end up as a physical therapist, instead he went into the FBI right out of college in 2001 and enjoyed a highly decorated career there for 16 years. Maybe enjoyed is the wrong word. During his period in San Jose, Mr. Albury grew increasingly troubled by the FBI’s approach to counter-terrorism enforcement. He was under constant pressure to bolster the squad’s number of active investigations and informants, irrespective of the threat level posed by the individuals in question. Cases were opened on thin or non-existent evidence, but when Mr. Albury protested, he was told that the degree of predication was not his concern. As the squad’s case numbers increased, so too did Mr. Albury’s concerns that the factual bases of those cases were highly unethical, i.e., based on information from informants who were known to be unreliable or deceptive. 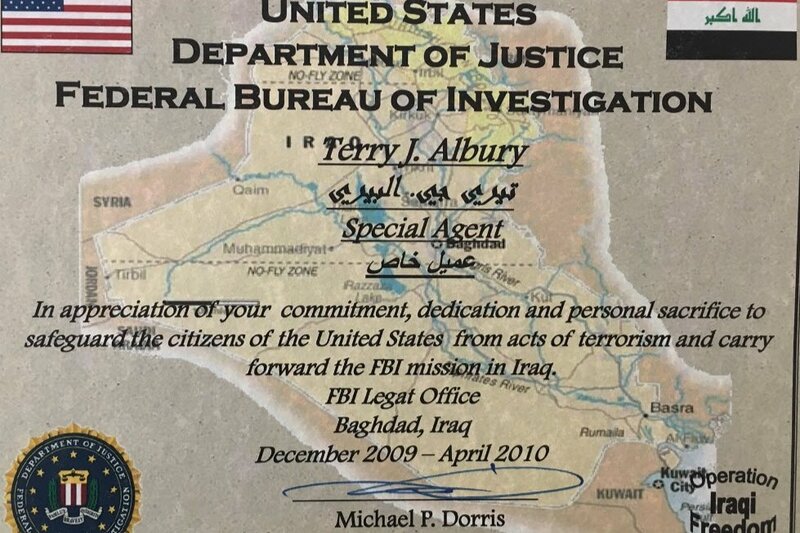 Despite his misgivings, Albury won many commendations from the FBI during this period, and in 2009 he deployed to Iraq for several months. There too, he witnessed racism toward Iraqis, and fears that some of the prisoners he interrogated may have been tortured. When he returned to the US he worked for a while in the violent crimes unit, but in 2012, Albury moved to the Minneapolis field office and was assigned to counterterrorism work. In Minneapolis, things only got worse. Mr. Albury could not reconcile the cultural attitudes implicit — and indeed explicit — in the FBI directives he was required to implement towards Africans and African-Americans, in particular towards those of Somali descent, with his duties at work and his role as equal protector of all. Mr. Albury often observed or experienced racism and discrimination within the Bureau, but the most difficult aspect of his employment in Minneapolis for Mr. Albury was his obligation to implement FBI directives to survey individuals suspected of being terrorism threats, and to recruit and supervise individuals known as confidential human sources (CHS’s), who could inform on potential security threats and intelligence gaps. From the memo we learn the Albury continued to do his job professionally and well (receiving more commendations and awards), but he was torn apart by what he was seeing and experiencing. He wrote a white paper that proposed alternatives to the pervasive use of surveillance and informants, but in the end did not share it with his superiors believing it would be ignored or worse. So Albury blew the whistle on FBI racism and the way the FBI uses informants. In court documents, the news media linked the disclosures to the Intercept. One document, known as the Confidential Human Source Assessing Aid describes the unethical way the FBI investigates and pressures people into becoming informants. To recruit an informant, the FBI will conduct an “assessment,” which is in fact an invasive investigation into the target, their family and employer, often to dig up dirt that can be used to pressure them into becoming informants against their community. During assessment, the agent will collect detailed background the target to include the target’s family situation, place of work and position, employment and financial history, and former residences. The Bureau will also attempt to evaluate the target to determine the target’s motivations, mental stability and loyalties and will seek information on the target’s habits, hobbies, interests, vices, aspirations, emotional ties, and feelings concerning his country, his career and his employer. 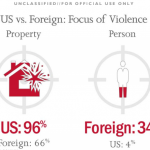 importantly, during assessment, the Bureau collects information not only concerning the target himself, but also the targets company, employer and family. The document is of enormous public interest. The use of paid informants is rampant at the FBI. During the COINTELPRO years, the FBI had 1,500 paid informants, now that number is about 15,000. DRAD has long been concerned about the use of paid informants, especially the way they are deployed against political and religious groups. It’s essential to understand how informants are recruited and used, to understand how this impacts civil rights and liberties. We appreciate Albury’s courage and willingness to risk great consequences to inform the public about FBI practices that must be reformed. We encourage you to support Terry Albury’s legal defense fund. Like other whistleblowers, he faces significant legal costs and needs your help.